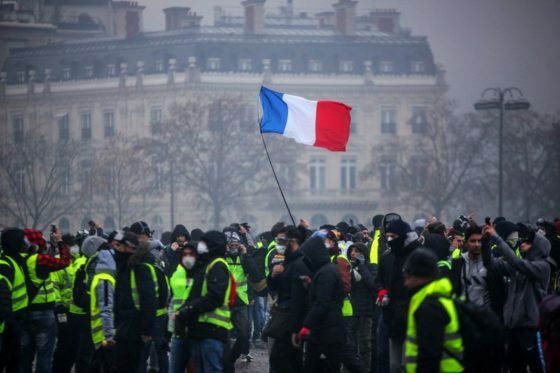 This article was posted in elites, Emmanuel Macron, europe, gilets jaunes, globalism, green agenda, Headline News, immigration, leftists, Marxism, protests, provocateurs, revolution, Ruling Class, Tax protest, yellow vests and tagged EU, france. Bookmark the permalink. Follow comments with the RSS feed for this post.Comments are closed, but you can leave a trackback: Trackback URL.